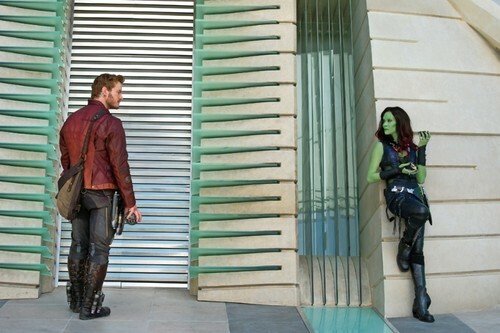 Peter Quill and Gamora. New 이미지 of Gamora and Peter. HD Wallpaper and background images in the Guardians of the Galaxy club tagged: photo guardians of the galaxy peter quill gamora 2014. This Guardians of the Galaxy photo might contain hip boot and thigh boot.